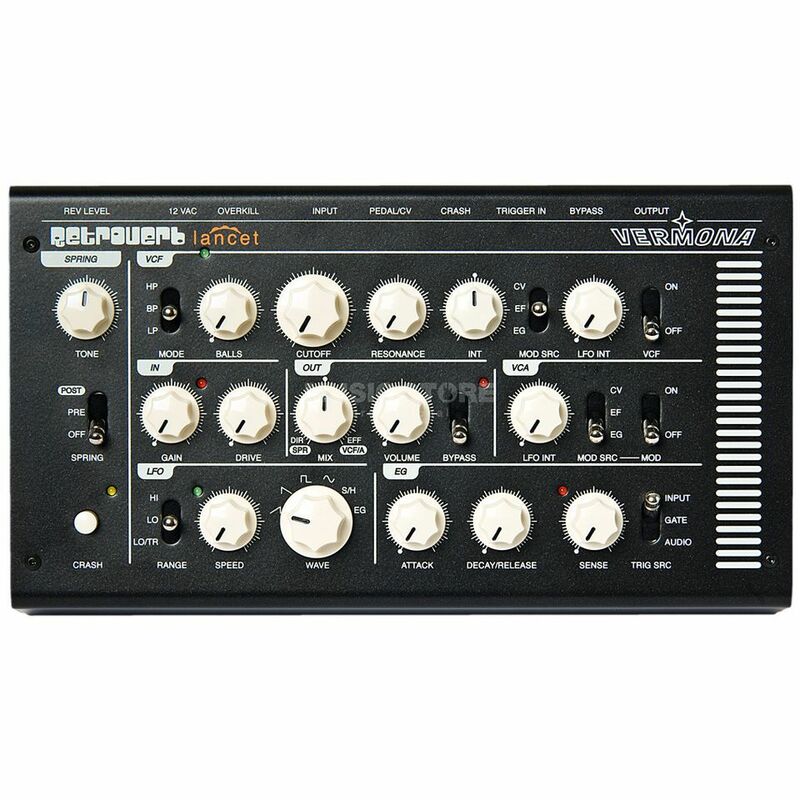 The Vermona Retroverb Lancet Desktop Spring Reverb deliver analogue reverb effects with tonal characteristics. The Retroverb Lancet is a great addition to any studio and live setup. The Retroverb Lancet features overdrive, filtering, VCA, envelope and LFO to manipulate the spring sound and create different sounds like Auto-Wah, Tremolo, Distortion, Delay, Gater and of course Reverb.